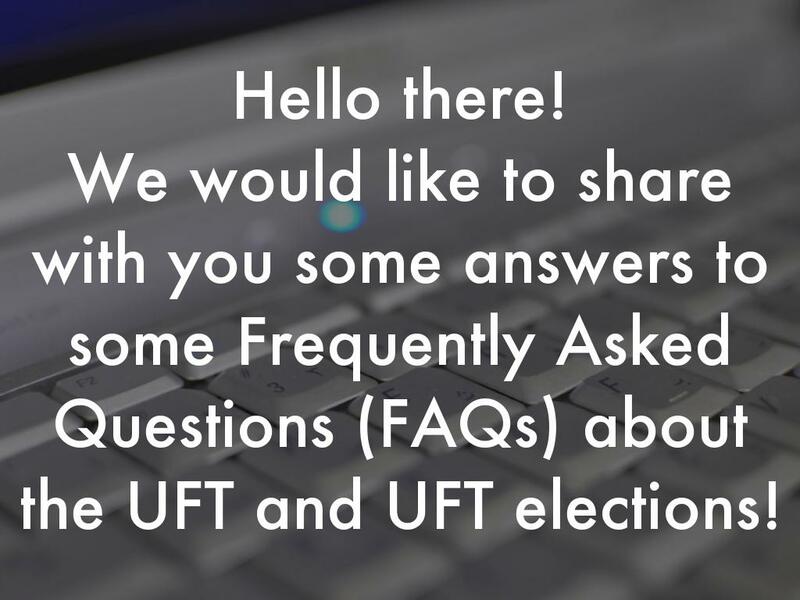 We would like to share with you some answers to some Frequently Asked Questions (FAQs) about the UFT and UFT elections! 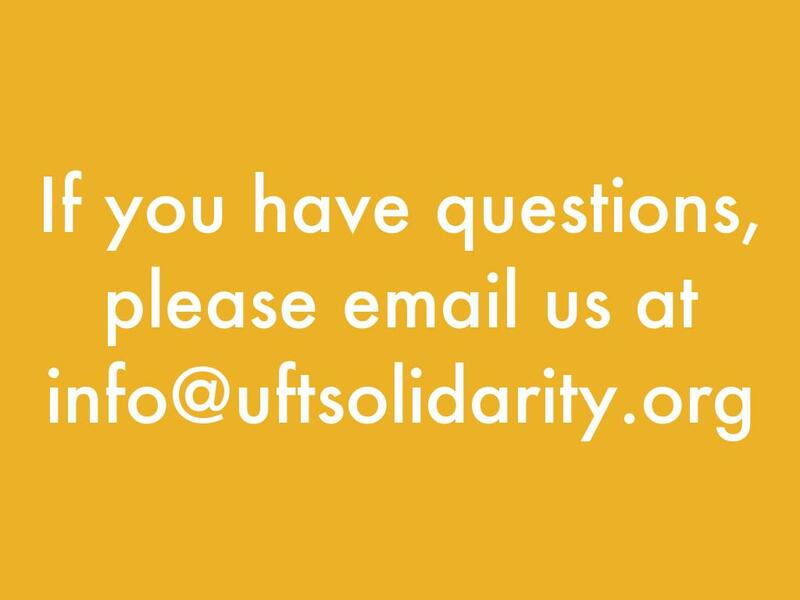 Who is in control of the UFT? 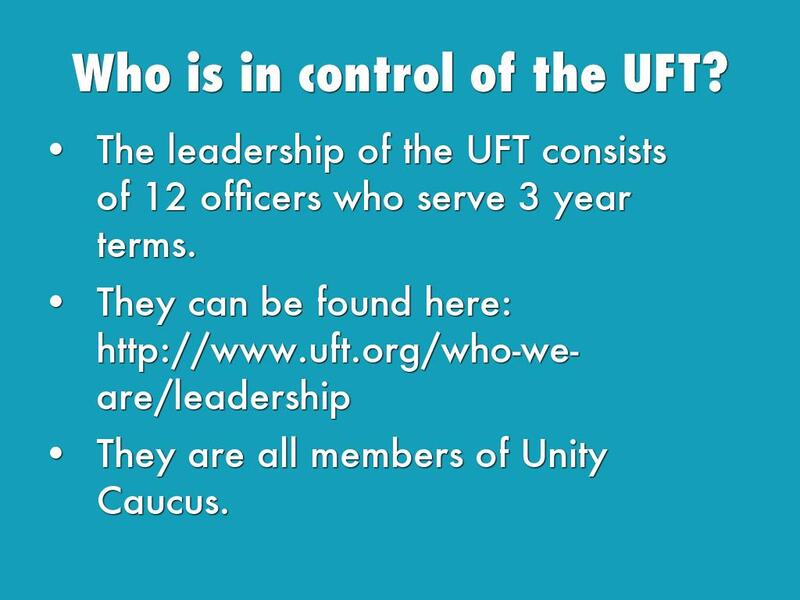 The leadership of the UFT consists of 12 officers who serve 3 year terms. They are all members of Unity Caucus. 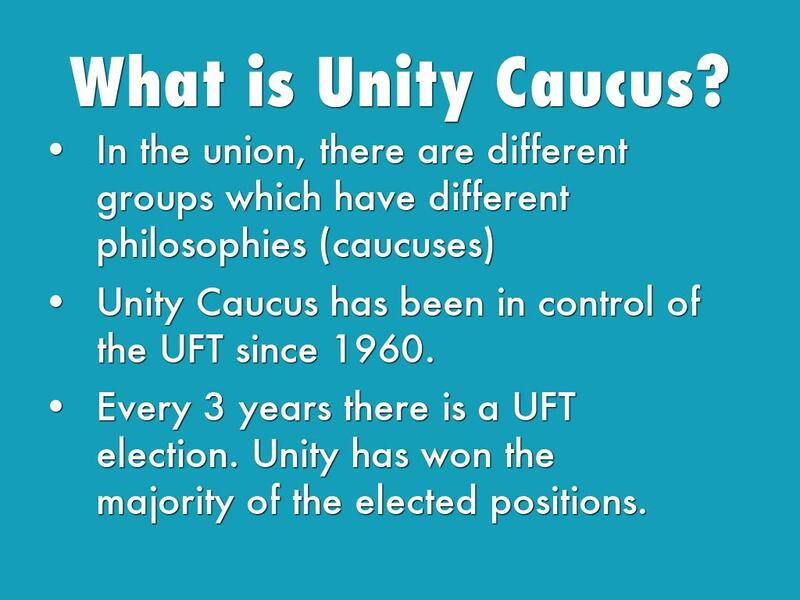 Unity Caucus has been in control of the UFT since 1960. 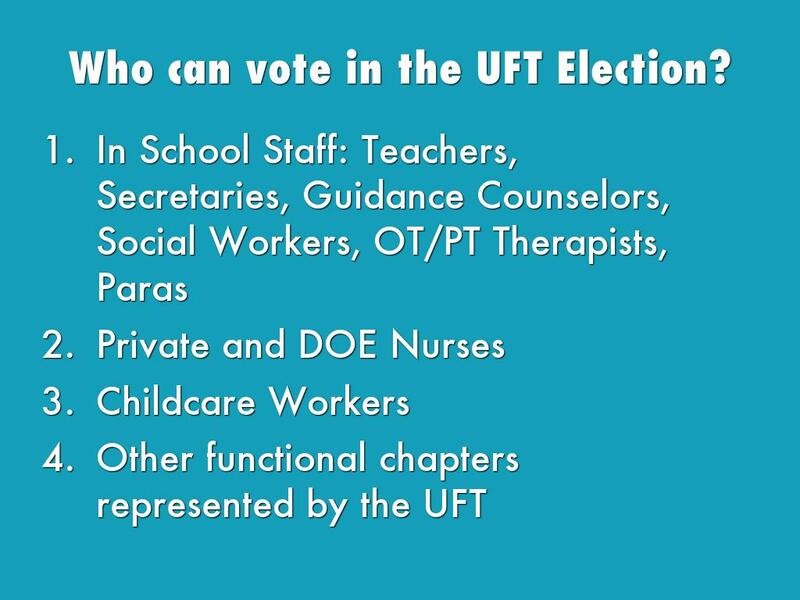 Every 3 years there is a UFT election. Unity has won the majority of the elected positions. 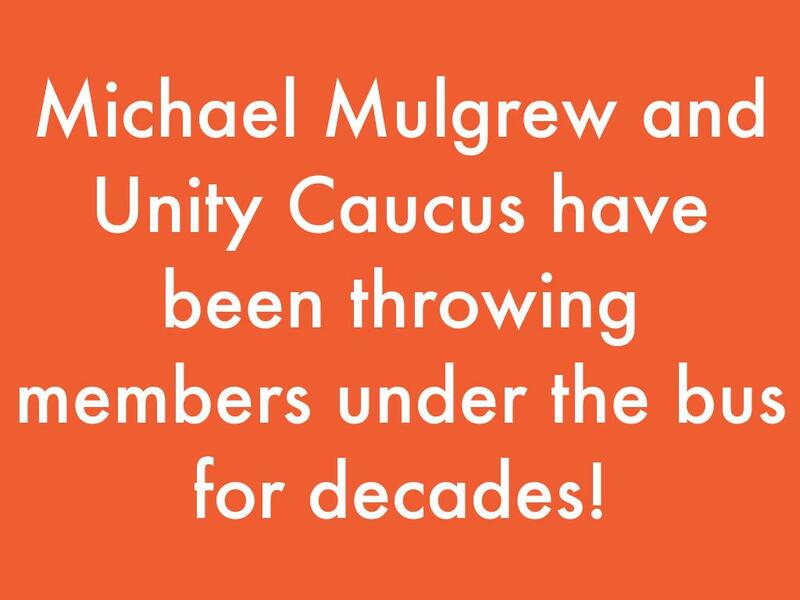 Michael Mulgrew and Unity Caucus have been throwing members under the bus for decades! 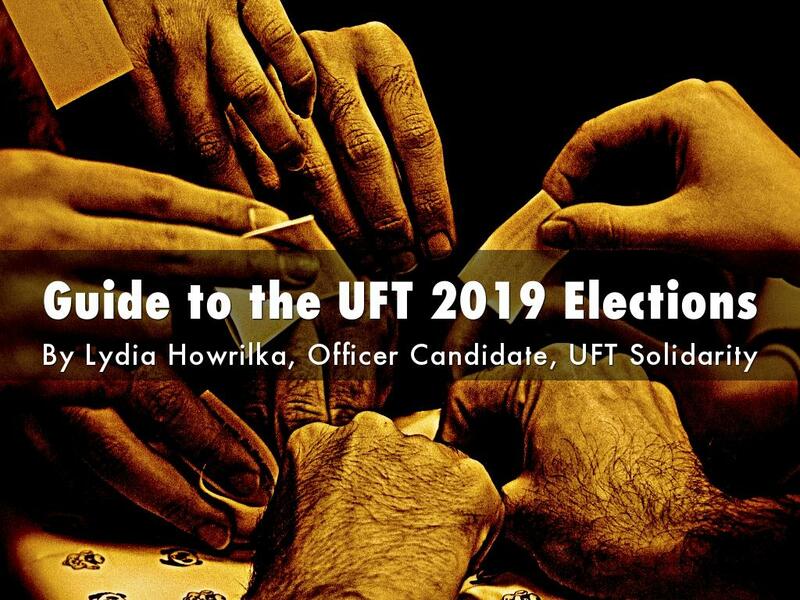 When is the next UFT election? 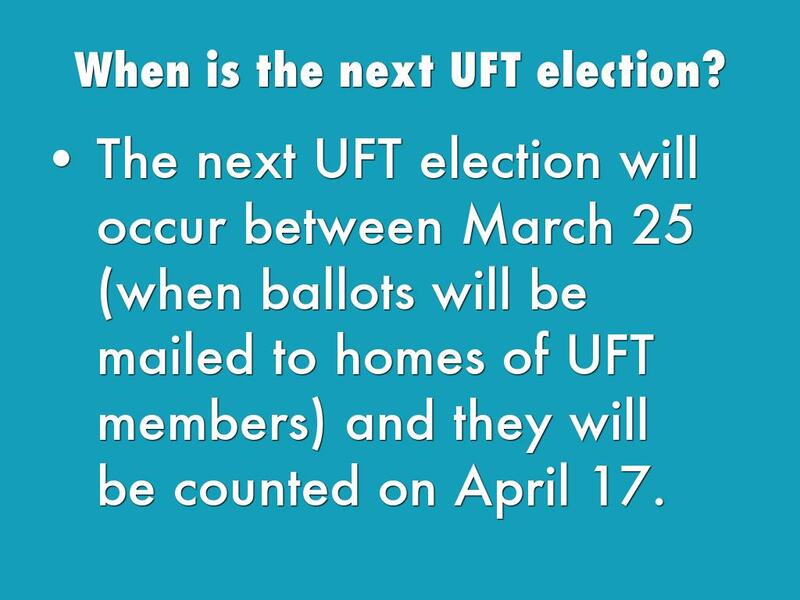 The next UFT election will occur between March 25 (when ballots will be mailed to homes of UFT members) and they will be counted on April 17.
Who can vote in the UFT Election? How many caucuses are there? Will having 4 caucuses split the vote? 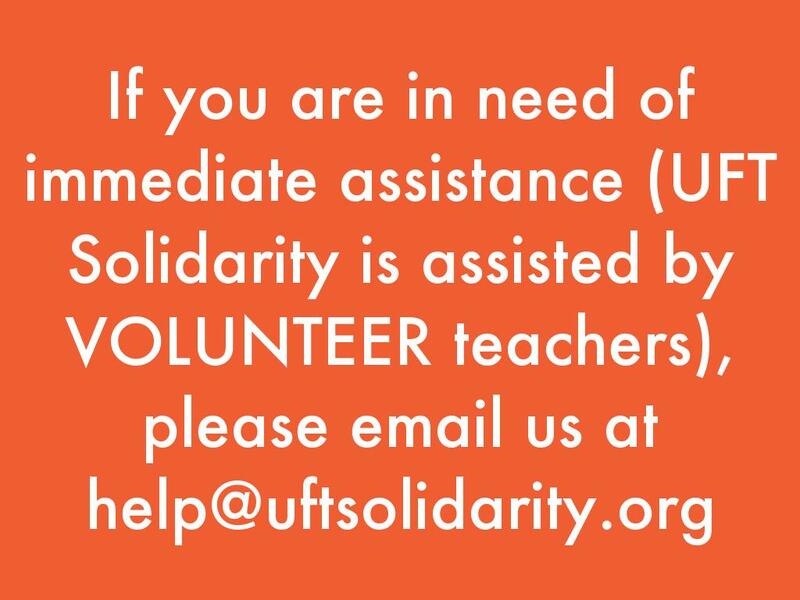 Retirees and many teachers have a history of supporting Unity. They are unaware of the issues of Unity. Solidarity tried very hard over the Fall to build a coalition with New Action and MORE. ICE has not run in an election since 2010. None of the other caucuses agreed to run with us. 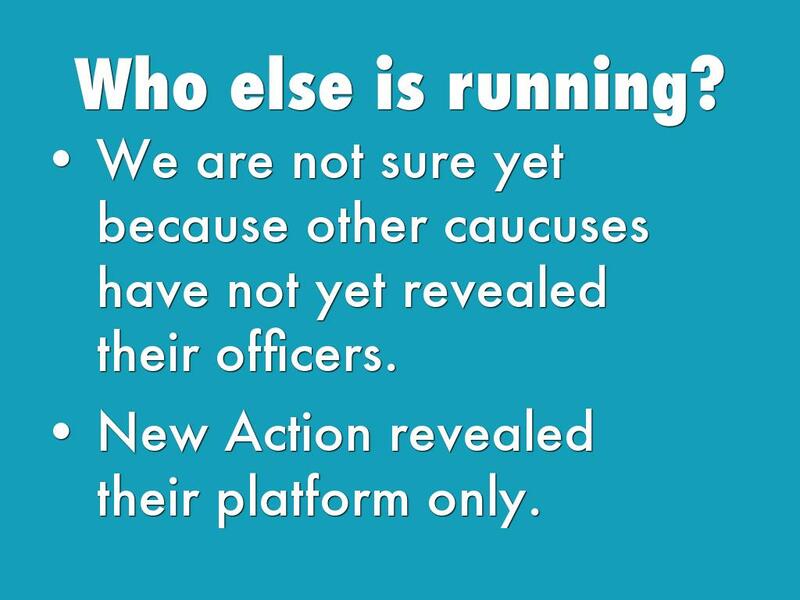 We are not sure yet because other caucuses have not yet revealed their officers. New Action revealed their platform only. How are votes cast and counted? You will receive a paper ballot in the mail. Follow the instructions on the envelope. Solidarity will be a Slate this election cycle. 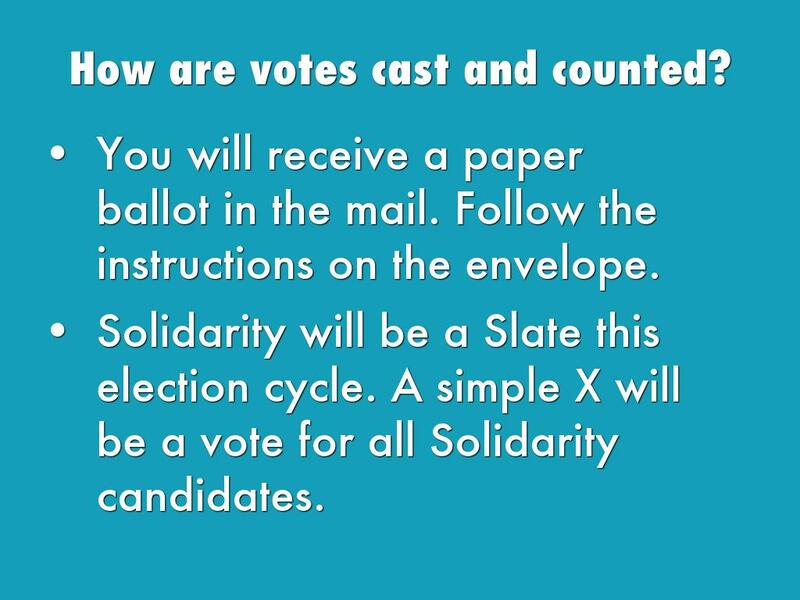 A simple X will be a vote for all Solidarity candidates. 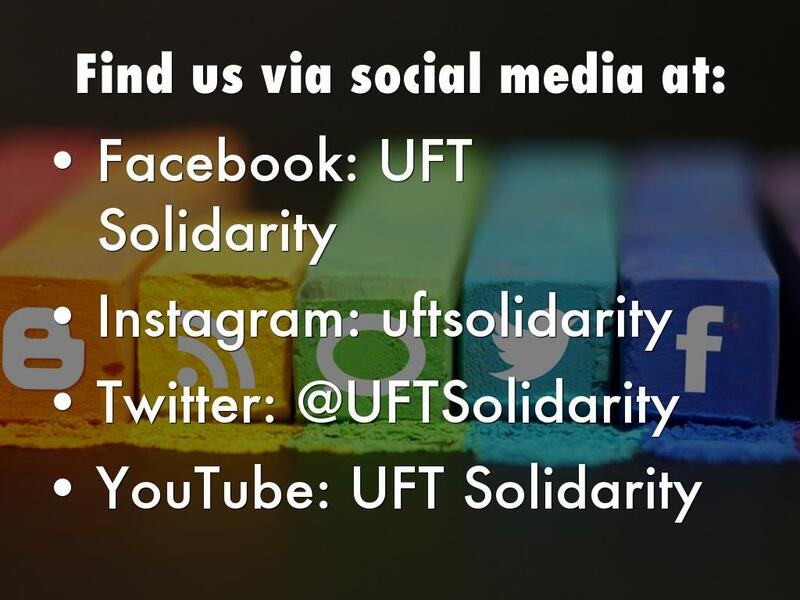 What makes UFT Solidarity different? 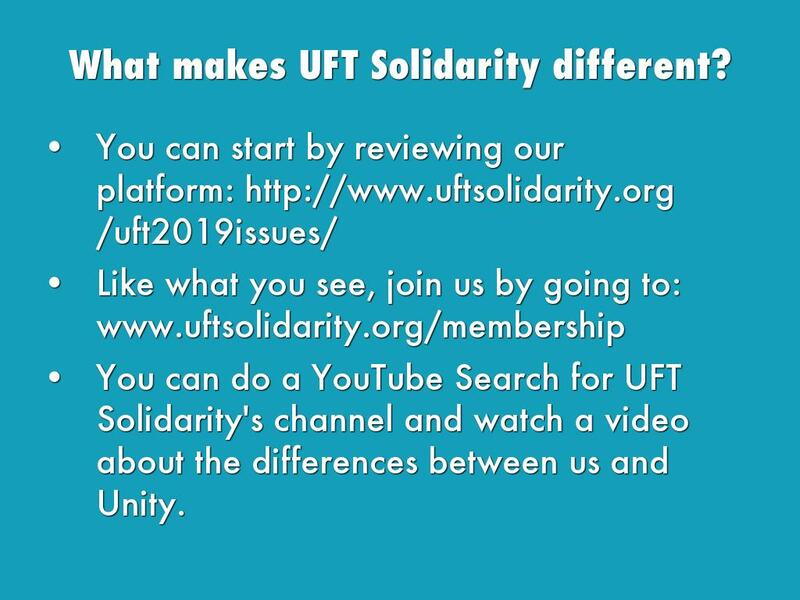 You can do a YouTube Search for UFT Solidarity's channel and watch a video about the differences between us and Unity.